Being successful in any field is about constantly doing the right things. Expertise and professionalism in customer service yield from thousands of routine customer interactions we perform daily. The way these communications are handled can make a huge difference. Not only they have direct impact on company’s relationship with its customers and overall business image, they also define how we — customer service representatives — feel about ourselves, our jobs and our lives. If you are constantly facing defeat and frustration, suffering annoyance and embarrassment at the workplace, most likely you are not the happiest person on the earth, even outside work. On the flipside, when you enjoy what you do and feel great about helping others and making their lives easier, you are likely to keep calm, sober and dedicated to work even in most challenging and difficult situations. Like with any other human activity, happiness and excellence in customer service can be achieved by repeatedly doing dozens of small right things. If you manage to develop a series of small action steps to approach each customer interaction and start actually practicing it across-the-board, eventually it will transform into a consistent habit of excellence bringing on confidence, joy and happiness. The series of small established practices and procedures are also often called routines or rituals. I really like the latter one as it brings to mind the radiant sense of gratitude, dignity and deliberation which we often overlook in our hectic lives. So how do you feel about approaching your daily life of a customer support representative as a consequence of transforming rituals that will take you to the next level of career satisfaction and results? For me, it sounds like an inspiring fresh breeze, really. 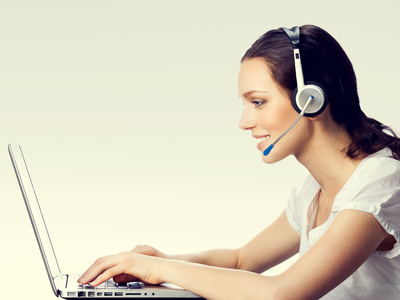 I’ve been in Live Help Customer Service for more than 10 years, and I can definitely say that to communicate effectively through Live Chat you need to successfully combine some skills of face-to-face and phone communication as well as consciously get the most of the Live Chat software you use at your workplace. Besides that, there are some secret magic ingredients as well:) In this article I would like to share a few habits that would help you communicate more effectively with customers in Live Chat. Answer the incoming chat request as soon as possible, preferably within 10 seconds. Start the conversation with a greeting, personalized with the customer’s name if available or any other information you have access to and that seems appropriate to use. Spare a few seconds to find out additional information about the visitor. Take a quick glance at visitor’s details in Real-Time Monitoring tool to get an insight of where they are located, which exact words or phrases they typed in the search field and what pages they are browsing. Smile! It would help you create the welcoming and friendly frame of mind when you address the customer’s request. No matter whether it’s a quick question or a serious issue, approach it as if it’s a close friend of yours and you’ll do your best to help. Take the time to read the question carefully and let the visitor explain the issue in detail. You’d be surprised at how often Live Chat agents misunderstand what is being asked because they rush to quickly read through a question and immediately start typing their response, sometimes spending too much time giving a comprehensive answer to the wrong question. Instead, make sure you get visitor’s question right and regularly check if your answers make sense. Break your responses into small chunks to make them easy to read. Try to avoid using clichés and trite phrases like “Don’t hesitate to…” or “Could you kindly…”. They tend to annoy people rather than add a polite touch to your messages. Give each customer your undivided attention. Keep conversation to the point and avoid distraction. In case your job duties include accomplishing mutiple tasks (Live Chat, emails, phone calls), don’t fall into the trap of believing you can switch between them while handling a Live Chat conversation. Unless the customer asks you to hold on for a minute or so, don’t let your attention focus shift to another task as this usually results in productivity drops like typos, errors or misunderstandings. Maintain reasonable speed while typing your responses in Live Chat. Don’t make customers wait for your response for more than a minute. The ideal response time should be immediate, but if feel you need more time to find an answer or investigate the problem, be sure to use magic phrases like “I’m sorry to keep you waiting” and “Thank you for holding on”. Something extra always looks good. This means that you’d better first provide the information that directly answers the customer’s question and then go into the details if the situation allows. In case you provided a complete answer to the visitor’s question, and it looks like there’s nothing else to add, ask if there’s something else you can do for the customer. Your willingness to do more is another great way to show your respect. Finish gracefully. Thank the customer for chatting with you and invite further communication in case of any questions/issues. Whenever possible, try to let them hang up first. Don’t take French leave, without saying good bye. As soon as the Live Chat session is closed, check your emails for chat transcript which most likely includes the visitor’s feedback rating the job you’ve done. Read through the transcript thoroughly, check out the post-chat survey results and think if you can perform better next time and how you could do this. If there’s anything left unclear, discuss it with your colleagues, and together you’ll probably come up with some new creative ideas on how to serve your customers better. If you learnt something new from the chat session, take a moment to thank the customer in your thought for the new knowledge, even if it was a difficult or unpleasant lesson. Did you ever manage to practice any routines or rituals at your work? Which of them are your favorite? We would love to learn about your experience, so please leave a comment if you have something to share. And as always, thank you for reading our blog! This entry was posted in Articles, Best Practice, Tips and Tricks and tagged live chat etiquette, live chat software, successful live chat session. Bookmark the permalink. I find the ritual of having a great greeting is a fantastic thing to live by. You can judge a thousand things just on the initial “Hello” and I think that alone should make it the most important. I will make sure that we focus on that when we use our live chat service. What a refreshing exemplar of everything thats worthwhile in day to day social and business relationships. We live in an age of electronic wizardry and speed, where people are often forgetful and unmindful of humanity in the 21st century! I have no doubt, that if the above hints/tips are applied daily, life will become much more pleasant, stimulating and worthy of emulation.